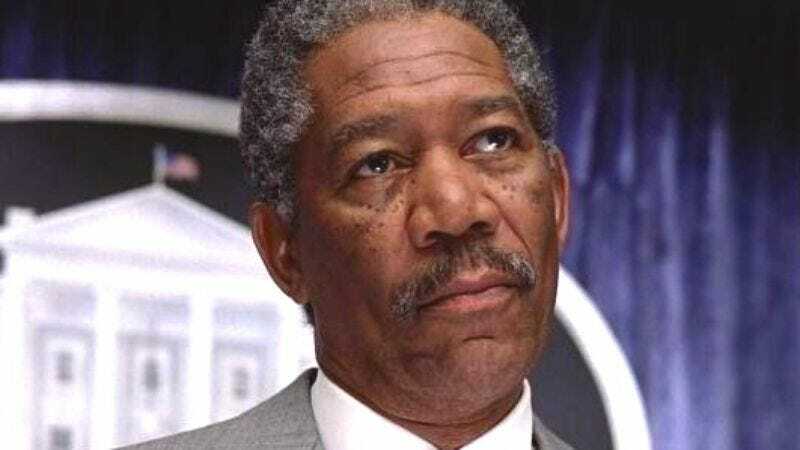 Entertainment Weekly reports that Oscar winner and erstwhile Heavenly Father Morgan Freeman will guest star on Madam Secretary next season. Freeman will play a Supreme Court justice in the season two premiere and will share a scene with Secretary McCord (Téa Leoni). Freeman, who executive produces the show, will also direct the season premiere—but that’s no big deal because he’s played God twice. Details about Freeman’s role are being kept under wraps, so we’re just going to wonder aloud about what he’ll do. Will he play a backwards bullfrog a la Antonin Scalia? Or will Freeman’s character clash with Secretary McCord over a foreign affairs matter in a case of art imitating life? And will he have a chance to hang out with a real Secretary Of State?